Members are asked to contribute to at least one meeting a year in some way. Please indicate what you would like to do and what month would be convenient for you. Tea Hostess: Two members each month-Coordinate refreshments and set up/clean up for meeting. Tea Committee: Four members each month-Provide light refreshments for our meetings. Annual Dues: Club membership dues are collected for the 2018-2019 MGC year. Membership Renewal $25.00 if paid by 6/30/18 and $30.00 if paid after that date. New membership is $25 for your first year. To help plan our programs, what are your gardening interests? 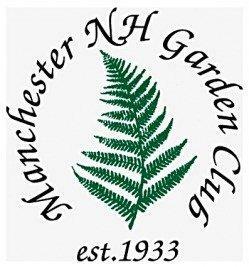 Please visit our website at: www.manchesternhgardenclub.org and “Like” us on Facebook Thank you for being a member of our club!